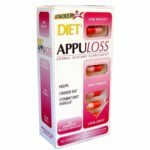 Meratol is an intriguing new natural diet pill that went on the market just a year ago in December 2010. It has received a lot of media attention recently, most notably with the UK reality star of The Only Way is Essex, Lauren Goodger. This makes sense as the product is manufactured in the UK by Advanced Health Ltd. The claim to fame with this new diet pill are the four main ingredients: Capsicum (Chili), Cactus, Brown Seaweed, and Prickly Pear. 1. Capsicum (Chili Extract) This main ingredient is a natural substance from various species of red hot chilli, cayenne and paprika peppers. Capsicum is the actual ingredient that gives these peppers their appearance and blistering taste. Capsicum has been proven to increase metabolic rates through a process called thermogenesis. This internal warming of the body canturbo-charge the metabolism for hours at a time, boosting the rate at which calories are used by up to 12x. Meratol features Capsicum extract in a slow digesting coating, which only delivers key ingredients once in the small intestine. Meratol does not cause any irritation, even to those who are normally sensitive to spicy foods. 2. Cactus Extract -Cactus extract acts as a natural appetite suppressantwhich helps normalise low blood sugar levels. 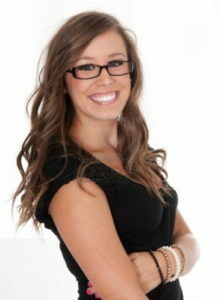 Low blood sugarcauses cravings, hunger and overeating, and is often the number one reason behind most failed diets. It works as a pseudo-sugar, tricking the body to believe that there is still glucose in the blood and thus preventing hunger pangs. The leaves of the cactus plant from which this extract is made contain fibers that swell and make you feel fuller longer and thus suppress your appetite. Cactus extract also acts as a diuretic, eliminating water and reducing feelings of being bloated. 3. Brown Seaweed Extract – Meratol contains natural Brown Seaweed Extract, which works byblocking the absorption of up to 82% ofcarbohydrates you consume. Leading nutritionists have long claimed that limiting carbohydrate intake is one of the fastest and most effective ways to lose weight. Foods such as bread, pizza, pasta, rice and potatoes provide the body with high amounts of glucose and energy, which if not burned up is quickly deposited as fat basically stored energy. Seaweed also naturally contains iodine which helps to boost thyroid functioning, boost metabolism, decrease high blood and cholesterol levels and helping in detoxification. 4. Prickly Pear Extract – A popular extract used for its high fiber content, extracted from the fruit of the Opuntia Ficus Indica cactus. Prickly Pear extract is high in soluble fibre and works to glue fat molecules together in undigested food after eating. This causes fat molecules to be too large to be utilised by the body, and simply leaves the body as normal waste. The effect is around a25% saving on saturated fat intake, lowering the calorie content of an average meal by as much as 160 calories. And finally, Meratol also contains 25mg of caffeine in each pill. This is included to help increase attention and alertness, and helps to support performance and capacity with longer exercise endurance. Compare this to a regular 8oz cup of coffee that has more than 100mg of caffeine in one serving! This small amount of caffeine is not much and will cause no harm to your system if you take it in the morning as directed. Has only been on the market for one year. Has 25mg of caffeine per pill. 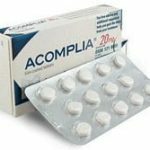 Below are a variey of user comments about this pill. I have now lost 2 stone and I have gone from a size 12 to a size perfect size 8. 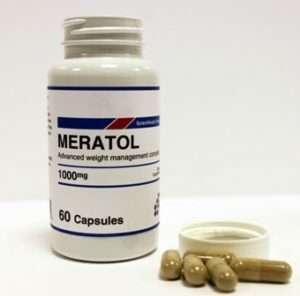 I have been using Meratol for just over a month and the results have been fantastic I have lost a stone, but feel like I havent had to deprive myself from eating anything that I wanted to. I found this great youtube video with a womans first hand account of how she took Meratol to lose 16 pounds after the birth of her two young children. Listen and you might be inspired! Currently, Meratol is only available at their official site online but will be adding other retailers shortly. For UK orders allow 3-4 working days, Europe 4-6 working days and America and rest of the world 5-7 working days. From what I can see, it looks like you would get the best price and value for money when you buy direct from the Meratol official website. And just a little tip: you can save more when you buy a bigger package. They have less than a 1% return rate so the chances of you being disappointed are low. Manufacterer directions say to take 2 pills once a day in the morning before breakfast. Although Meratol has only been on the market for a year, it is slowly gaining a following in the UK and US and I can understand why. 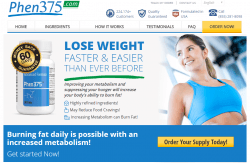 Meratol is a fat burner, appetite suppressant, carbohydrate blocke, and fat burner all in one! Thats a lot of action in one little pill! 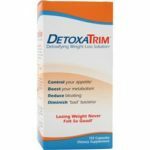 The reason I rated this pill as my 3rd favorite is because weve yet to see the long-term results of its efficacy, but for now it looks like a safe, natural, effective diet pill that targets all the weak areas of weight loss. Why not give it a try? Click here to visit Meratols official website.